Powertex has also launched a store on wheels concept, a mobile van, to spread awareness and educate users about correct usage of tools and accessories. Two mobile vans have been flagged off to begin with, one in New Delhi and the other in Hyderabad. 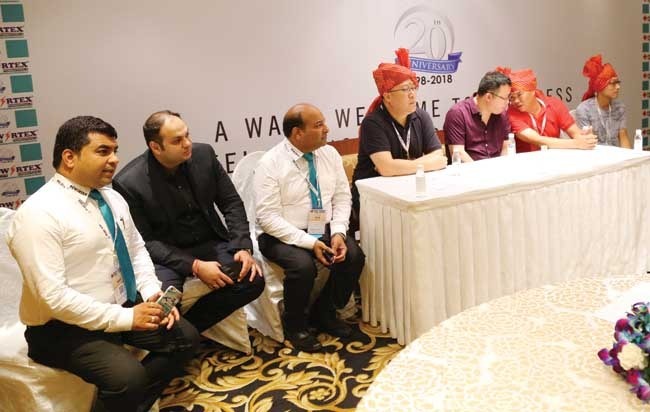 The vanswere launched on the sidelines of a conference hosted by the company recently in the Capital, which focused on trade analysis and market growth in the power tools segment. “The target audience of the moving store will be tier II and tier III cities,” shared L N Gupta, director of the company. “We currently operate in 20 states through 400 big and small business partners. Our new initiatives – Powertex Shoppes and Mobile Vans – will help us servemore consumers, and also reach out to untapped markets,” he said. Gupta informed that as part of its communication campaign Powertexwould be releasing explainer videos on correctuse of power tools, besides launching an app, customer care number, and service centresin many cities. The company is also partnering with ITIs to educate students on selection and usage of power tools. “We have invested approximately Rs 50 lakh on these initiatives,” remarked Gupta. “Powertex is countering rampant counterfeiting in the market with high quality packaging and scratch holograms. We have also partnered with Power Bonus, a software solution that promotes brand protection,” he informed, adding that it serves as a link between the branded supplier and end-user. “There is a hologram on the product which protects, identifies and confirms authenticity of the product. The technology is such that it is difficult to reproduce. The customers on their part need to scratch the hologram, under which there will be a unique code that can be checked against the company’s internal database,” said Gupta about the working on Power Bonus. To boost brand awareness, the company is using the reach of radio and social media platforms. It is active on Facebook, Linkedin and Twitter, and carefully uses the feedback it receives through these networks. “We are promoting the Powertex brand on FM channel Fever 98.4,” said Gupta. “We also support business partners who wish to invest in setting up Powertex Shoppe with design of the showroom and in branding.”Other marketing initiatives of the company include placing its products on e-commerce marketplaces,and introducing a reward point program for customers.